The household dryer is a common cause for house fires according to the National Fire Protection Association. There is no need for your home to become another statistic. Regular maintenance of your dryer can help prevent a fire hazard. Experts recommend cleaning your dryer vent at least every 6 months. If your dryer vent is clogged or you suspect your dryer vent needs cleaning, now is the time to take action. Follow these simple steps to determine if your dryer vent is obstructed or needs further service. Have you noticed you need to run the dryer twice to get the clothes dry? Well, you’re either making the loads too full, or your dryer vent is clogged. If your dryer vent is being obstructed, there is not enough airflow through the dryer to dry the clothes inside thoroughly. If you are diligent about clearing the lint trap every time you run the dryer, it sounds like your dryer vent needs cleaning. When you open your dryer, you should be met with a pleasantly warm, cozy load of clothes. If instead you are met with clothes that are hot to the touch, it is possible your dryer vent is clogged. When the heat is more concentrated, the clogged lint as well as your clothes, are in danger of igniting and potentially causing a fire. This is a strong signal to check if your dryer vent is clogged. Where there’s smoke, there’s fire, right? If your dryer is emitting a burning smell you need to take action! We want to prevent this fire hazard long before smoke appears. If your dryer vent is clogged, the lint buildup gets extremely hot, heat becomes concentrated and flammable materials can ignite. 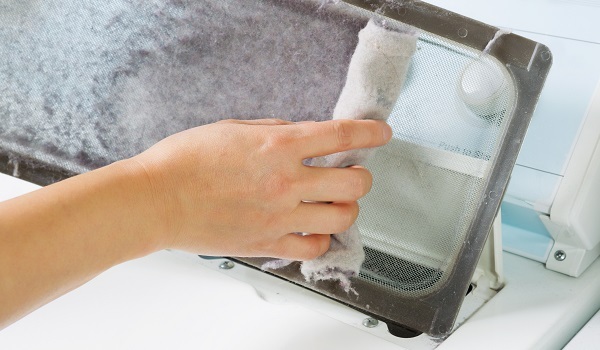 Purchase a dryer brush kit and clean the lint trap, lint trap vent, and the dryer vent/duct that connects from the dryer to the wall. The dryer vent on the outside of the house is a good place to inspect for clues to discover if your dryer vent is clogged. 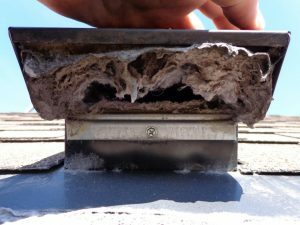 If lint and debris buildup is visible on or around this outside vent, there’s a good chance you need a professional to inspect the venting system and perform a thorough cleaning. So, you can’t recall the last time you or a professional serviced your dryer or cleaned the dryer vents? Then it’s time you got to it. On the other hand, maybe it’s time to hire a professional to ensure no details are overlooked. After all, you can’t put a price tag on the peace of mind your appliance service will provide. Contact A+ Appliance today for service near you!